Having put some of his personal troubles (including a recent DWI arrest) behind him, WWE United States Champion Champion Jeff Hardy returned to Smackdown Live on Tuesday night and vowed revenge against Shinske Nakamura. On the june 12th edition of SmackDown Live, US Champion Hardy won a match against Nakamura via DQ. Hoping to send a message to his Money In The Bank opponent AJ Styles, Nakamura was disqualified when he hit Hardy with a low blow. He then followed it up with a Kinshasa that left Hardy out cold in the middle of the ring. 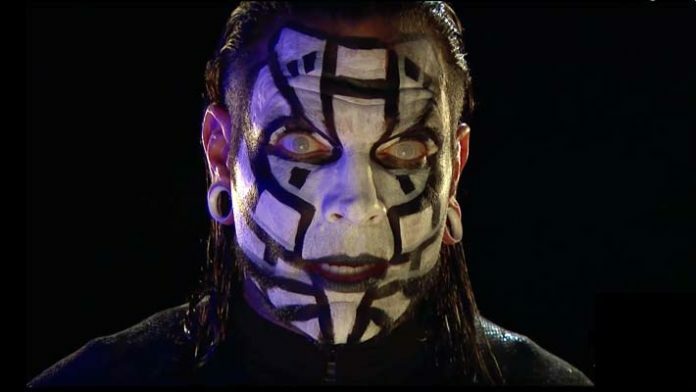 Taking a cue from his big brother Matt, Jeff Hardy channeled the stranger aspects of his persona and donned the face paint that was popularized during his run in Impact Wrestling. It remains to be seen if Hardy will go full bore with the weirdness and revive other aspects of his Willow persona, but it’s something new for the WWE veteran. During Smackdown Live, Nakamura responded to the New-Look Hardy’s promo, warning The US Champion not to cross him again. Nakamura has been Smackdown Live’s #1 heel, and a newly painted Hardy against the artistic and bizarre Nakamura could easily become the main feud on WWE’s blue brand.